Topics include – JEWELRY : ART GLASS : CHANDELIERS: and How color plays a roll….. What's new with design, who is impressive to me, and what I am doing with my own designs. My husband and I own and design jewelry for The Karen Curtis Company in Manhattan. I have been working with brides for over a decade and have been designing Swarovski Crystal Jewelry for over 15 years. I thought it might be helpful to share what I have learned over the years and having had my own wedding 2 years ago it is all very fresh in my mind from both perspectives. One thing I found out after my wedding is that you need to have jewelry that you are in love with not just satisfied with because it is going to be in every picture from your wedding, and you will be looking at that for your whole life. That being said there are 4 main things to look at when deciding on jewelry for your wedding. I have set this up beginning with the most important….. Spoiler alert: Comfort comes last ladies we all know it hurts to be beautiful! The dress plays the biggest role, what shade is it, does it incorporate crystal trim, pearl trim etc. These little details that made you pick the dress in the first place are the same things that you want the design of you jewelry to highlight. Is the neckline perfect for a specific size necklace? Will a bracelet help to continue a pattern around the waistline of a dress? Does your dress have gold embroidery if so then gold metal in your jewelry is fantastic….. if not then maybe silver-colored metal is more appropriate. Lets face it most of us have a budget for a wedding, if you don’t then go big with diamonds, Tahitian pearls and other precious stones. Try to stick with the budget you have in mind and find jewelry designers that offer items in your range. 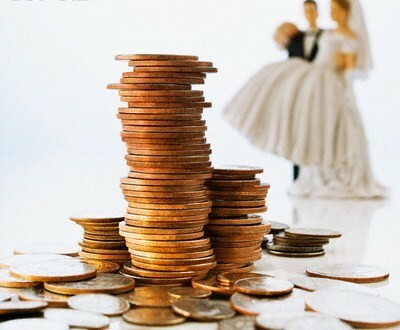 But remember that of all the thing you wear on the day of your wedding, the only thing you are likely to wear again is the jewelry, so take that into consideration when setting your budget. What is your style… most already know what that is. If you like creative organic designs then go for it. If you are in love with the art deco styles then that is what you were meant to wear on your big day. This kind of plays off of the style. Being comfortable on the day of your wedding is very important. You shouldn’t wear 4 inch heels if you are a flats kind of girl so approach your choice of jewelry the same way. Get items that you enjoy wearing and the you are comfortable in. If you like shoulder duster earrings then find the perfect long crystal earring for you. 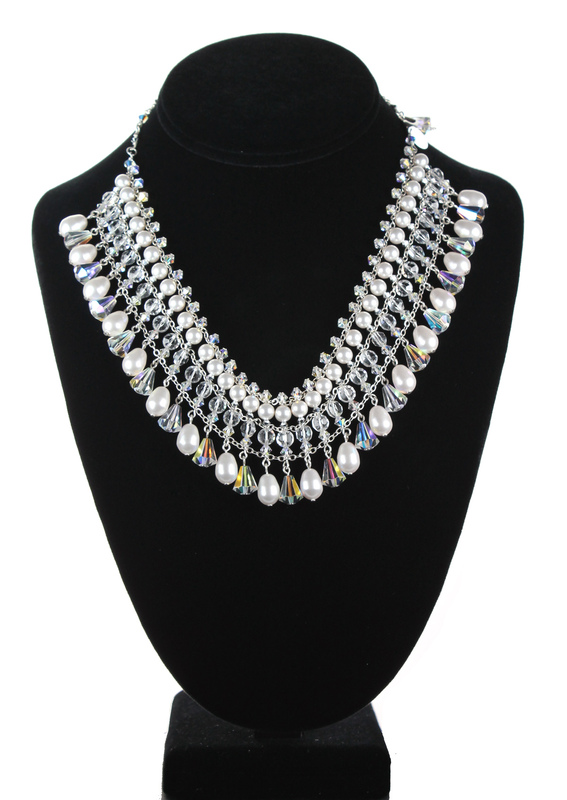 If a big chunky necklace is something you always dreamed of wearing then go for it but make sure you can have fun in it. The number 1 rule is to enjoy your day and look beautiful doing it…. Dance, Socialize, and Love with all of the people you care about in one room! This entry was posted in Jewelry - Handcrafted by Designer and tagged bridal, bridal jewelry sets, Crystal, crystal jewelry, designer jewelry, fashion, how to, Jewelry, sparkle, style, Swarovski, trends, Wedding, wedding jewelry by karen curtis. Bookmark the permalink. Thanks Marj! If you are in the nyc area I have another listing on my blog of really talented wedding vendors also, think i did that 1 about a year or so ago. Also check out my website http://www.karncurtis.com I have alot of other great jewelry for all sorts of occassions and outfits!